Yup. That describes us pretty well! 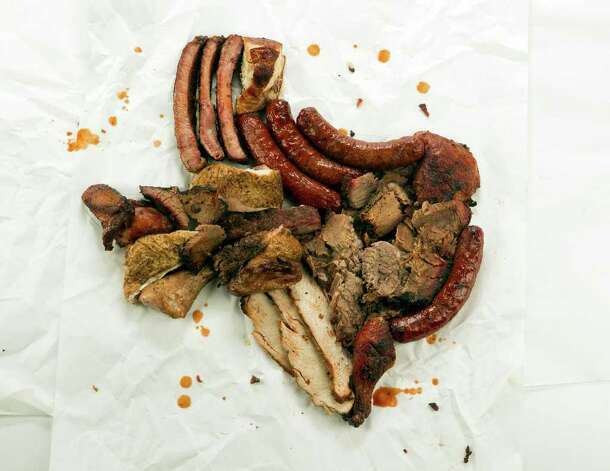 The world of Texas barbecue is vast, populated with thousands of barbecue enterprises big and small - from venerable temples of 'cue that command national attention to unsung mom-and-pop joints that are known only to townies. And it's this enormous breadth of smoky landscape that the passionate disciples of Texas barbecue endeavor to chronicle. They're the ones who get up hours before the roosters to drive to a place they've heard has delectable brisket only one day a week. 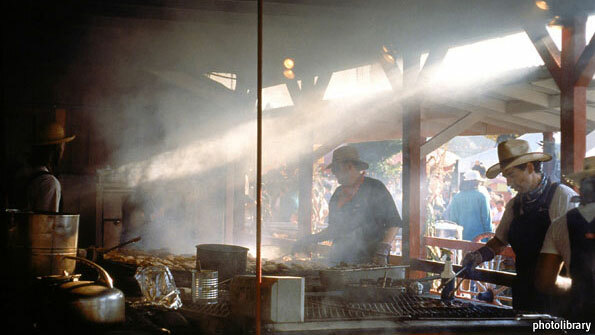 They're the ones staking out their place at the front of the line in front of a barbecue shack or trailer to ensure they get their fill before the ribs run out. And they're the ones tweeting enthusiasm, posting pictures on Facebook, checking in on foursquare and blogging about their meals, all in the name of spreading their burnt-ends-fueled barbecue love. This place is 3 blocks from my old house and 10 from my new one. Went there today. Sausage was superb. Brisket above average. Ribs average - probably because he re-warms them (see comment in story). I actually had a conversation with the owner several months back while he was renovating. Definitely the kind of old school guy we like. I will just have to ignore [censored by editor] his offspring (again, see story).